Hi there, my darlings! I was recently contacted by a brand-new retailer, Live.Love.Polish about doing a review of Seche's nail polish for them. 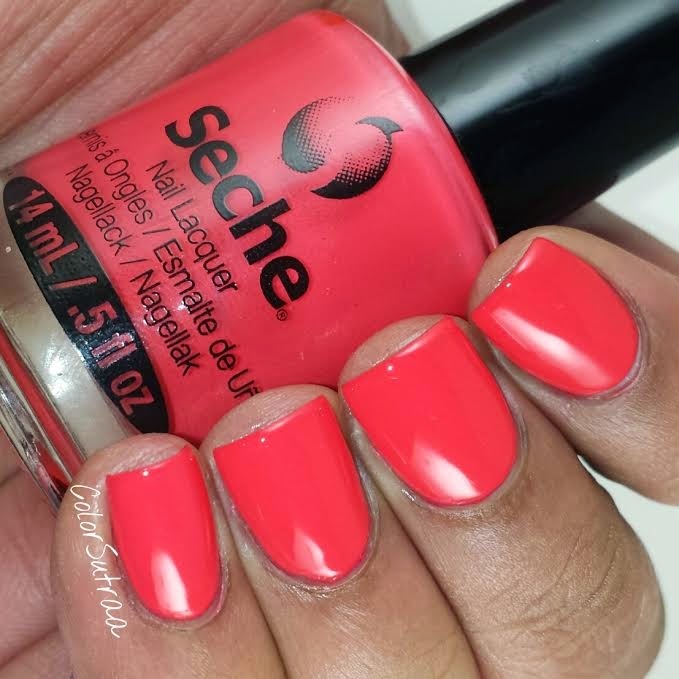 Now since I've loved how interactive they were on Instagram AND this would be my first experience with Seche polish, I happily agreed! And I'm sure glad I did! Since I was having a hard time choosing one, I asked for the shade to be picked for me and I love what was chosen--Coral by Seche! Coral is gorgeous bright coral creme. I had absolutely no complaints about the formula or application--each coat went on smooth as butter! I used 2 coats for the swatches below, topped with 1 thin coat of Seche Vite. Such a beautiful, vibrant shade to cheer up a gloomy winter day! 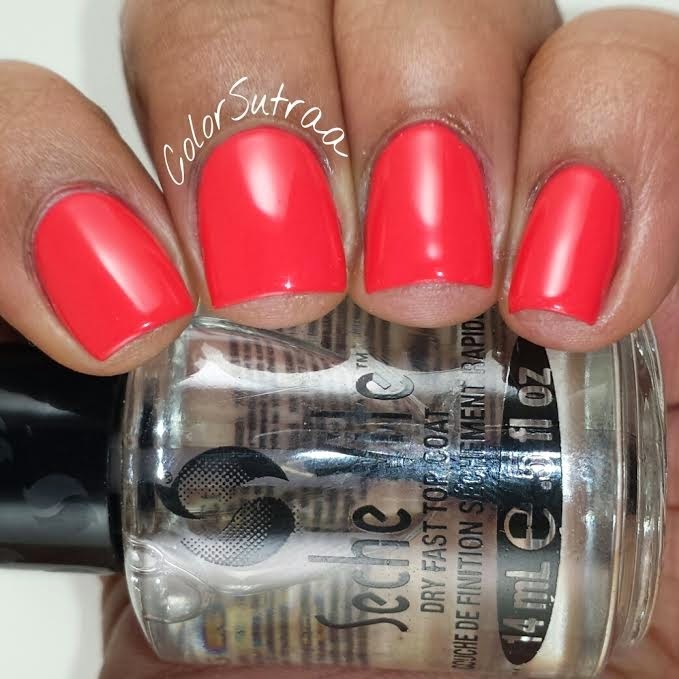 I was also sent a bottle of Seche Vite to review. Now as you know I'm very loyal to my G&G HK Girl and really use it exclusively but I also know some of you rave about Seche Vite. If you're looking to pick up a bottle or two at a great price, check out Live. Love. Polish. 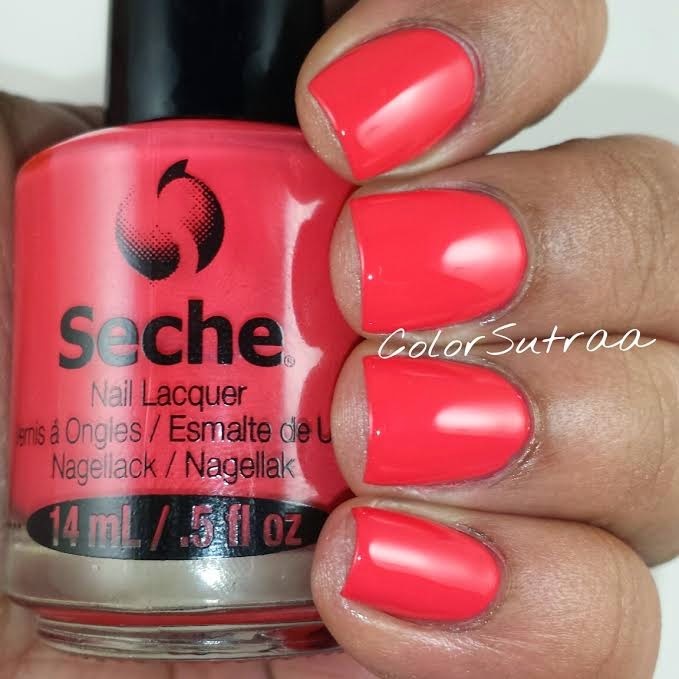 Do you have any Seche polishes? If so, which are your favorites? Tell me in the comments section below!